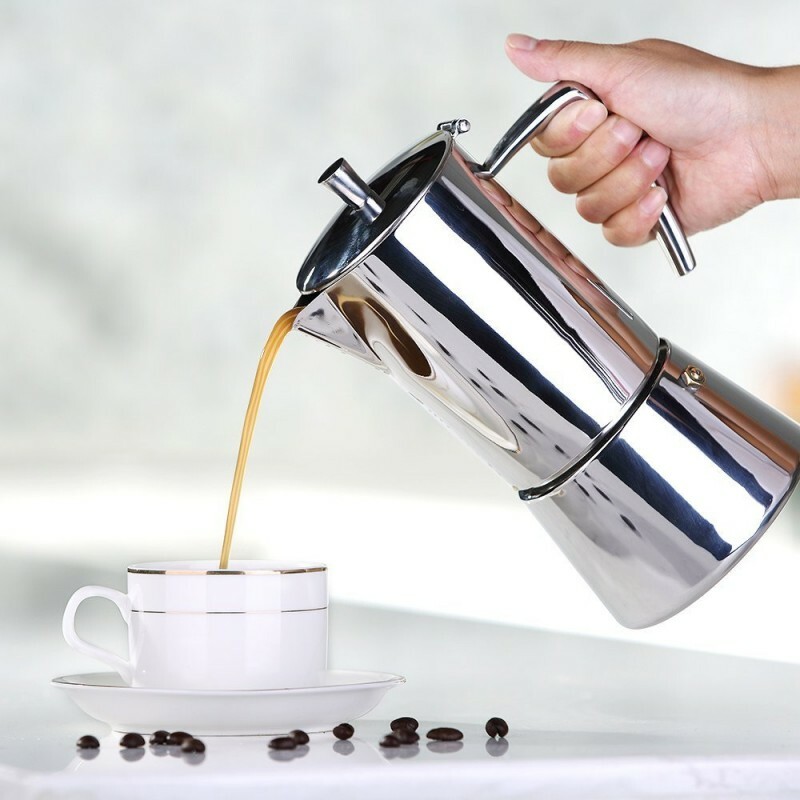 Enjoy the great espresso and making it. Made of solid stainless steel, it’s rustproof that won’t easily wear out ― a great companion for many years. While the plain and classic model makes it a decor to your counter. This is a classic Italian custom that has stood the test of time. 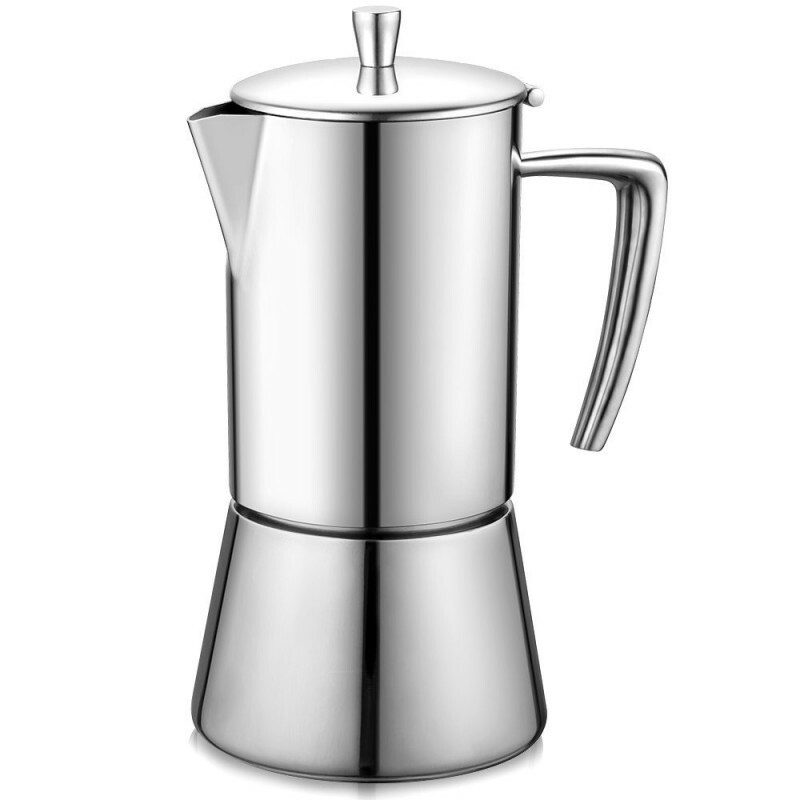 The ultra-dense filter and the steam pressure brew a rich and robust espresso that worth to celebrate. 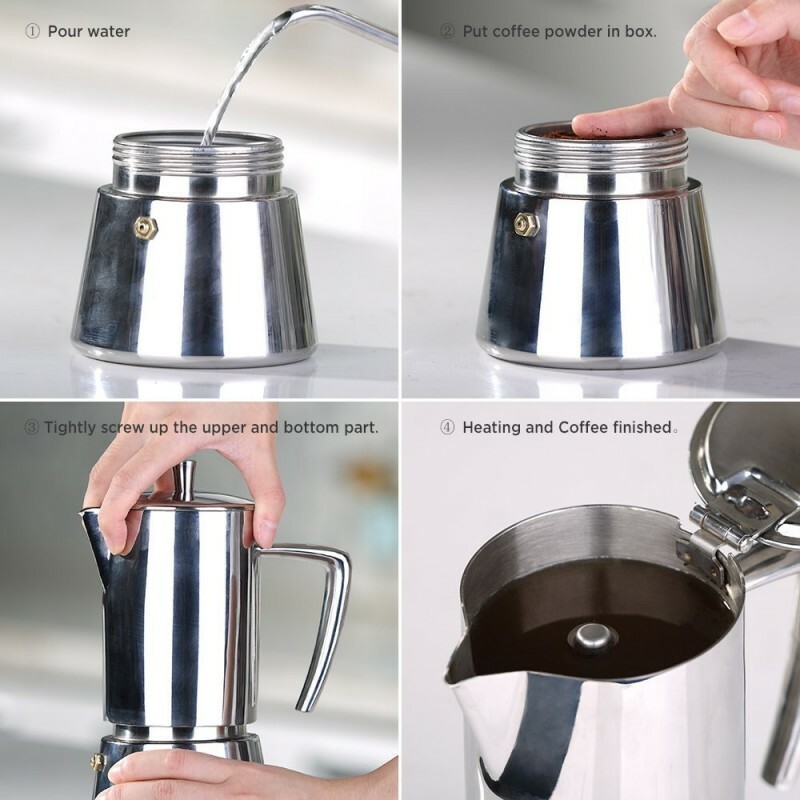 Stovetop enables more possible ways to heat the pot. 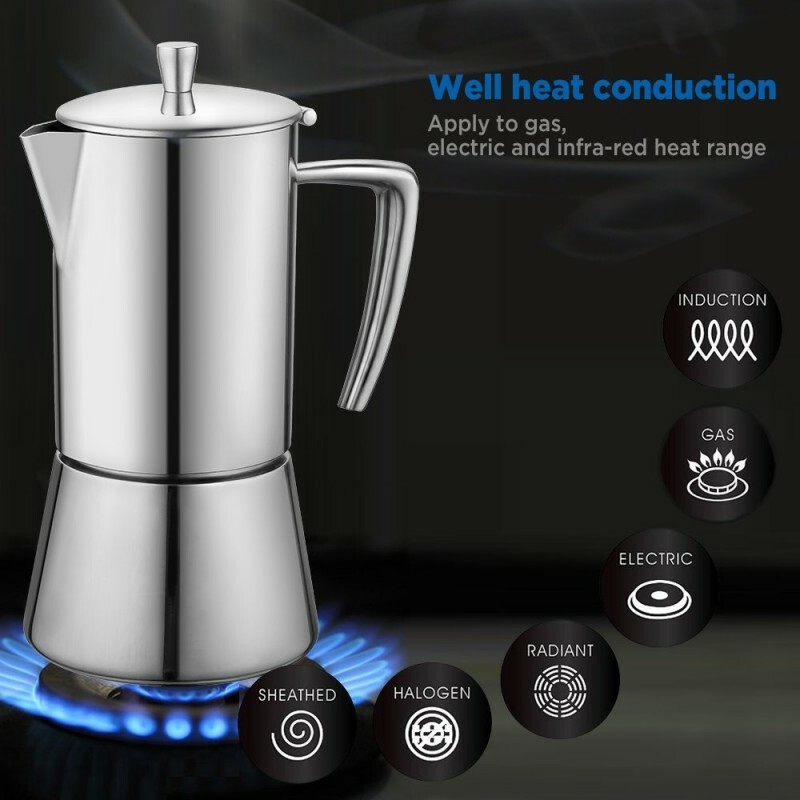 Use it on gas or electric stove as convenient as you like. worth every penny and also makes great coffee. 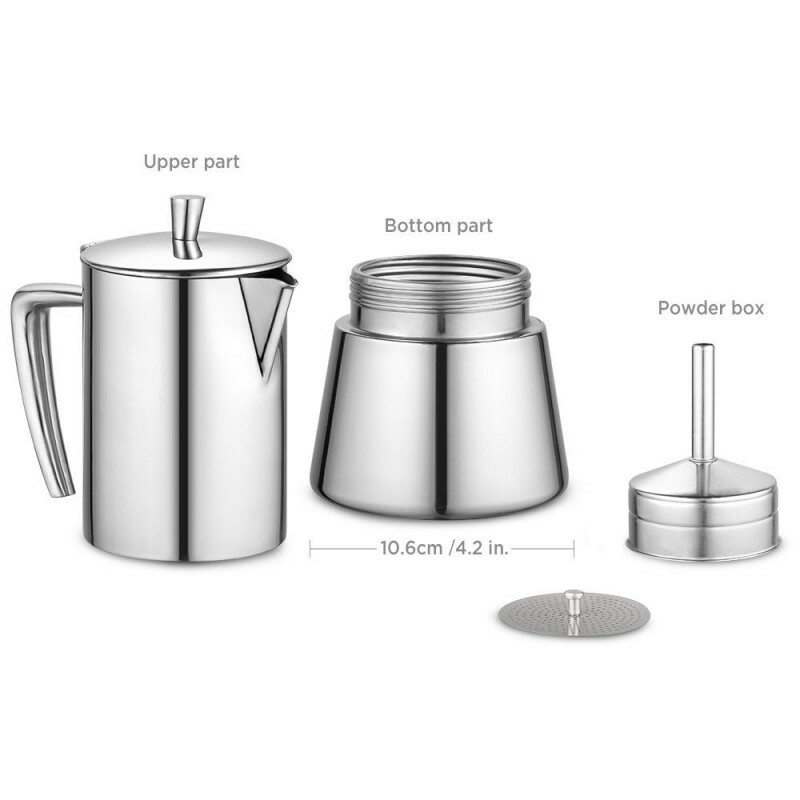 Superb quality, worth every penny and also makes great coffee. 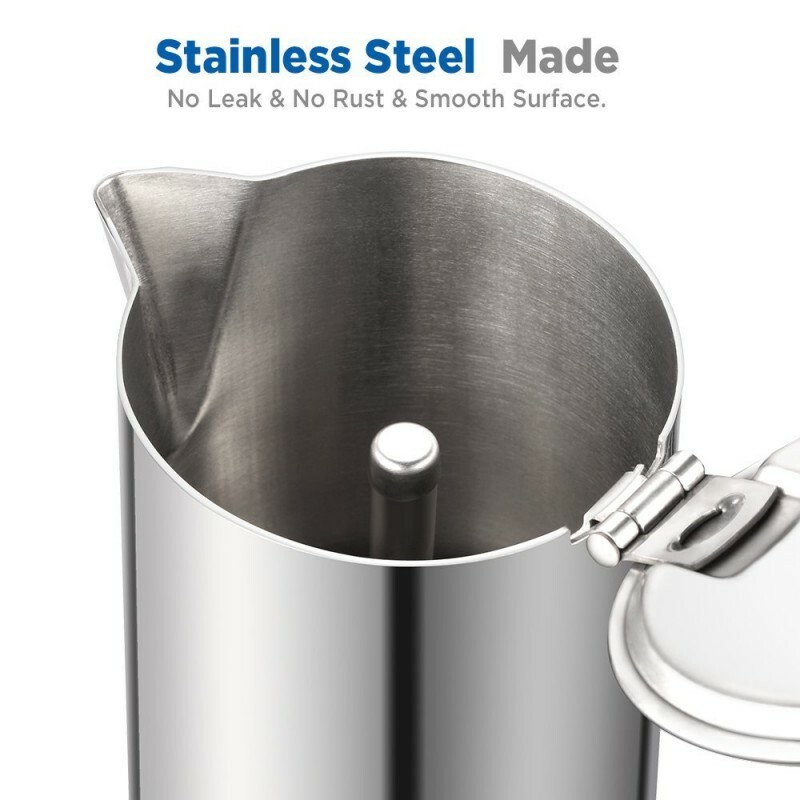 Good quality heavy duty stainless steel. Much superior to the aluminium type we had previously. 2 good size cups.